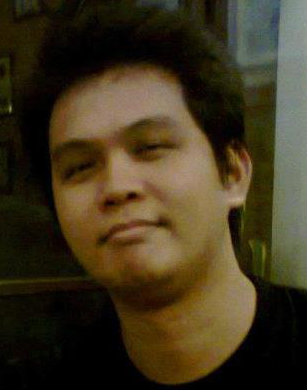 Online thoughts of Chris A.—a Filipino blogger, freethinker, son, brother, friend, lover and student of life. It's More Fun in The Philippines is the latest (second) tourism campaign of the Department of Tourism (DOT) under the Benigno Simeon "Noynoy" Aquino III's regime. Pilipinas Kay Ganda was the DOT's first slogan which was coldly received by majority of Filipinos both online and off because of its obvious resemblance to another country's tourism slogan. This time it is "It Is More Fun in The Philippines" turn to go under such scrutiny. Wherever you go in the Philippines, it's the Filipinos that will make your holdiay unforgettable. Just ask anyone who's bee here. In fact, Lonely Planet guidebook calls us 'among the most easygoing and ebullient people anywhere'. Find out for yourself why it’s more fun in the Philippines. And make the most out of your next vacation. Knowing online Filipinos uncontrollable urge to just speak out when online (Hurray for Democracy!!! ), the 2012 tourism slogan that just went online, immediately went viral. For almost a complete day or two, Filipino netizens join in the "It's More Fun in the Philippines" DOT discussion. 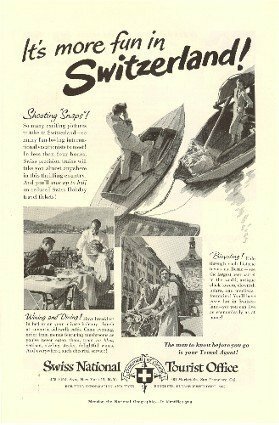 some gave their unrelenting positive support for the new slogan, while others seem to find fault at its simplicity and wordiness, while others hated it for having a resemblance to Switzerland's classic 1951 tourism campaign. Being the "democrazies" that most Filipinos are they started with this heated discussion over Facebook, Twitters, and even at their blogs. You can say that this post is riding that wave, but I beg to differ. As the It's more fun in the Philippines website said and let me quote on them on that In fact, Lonely Planet guidebook calls us 'among the most easygoing and ebullient people anywhere'. I am one of those easygoing Pinoys. The new 2012 DOT slogan didn't evoked any feelings of hate towards anything else. I am already done being a pessimist and a "negatron", so I generally game my thoughts on the new slogan. Wow na Wow Philippines sa #ItsMoreFunInThePhilippines . Hahaha Democrazy at its finest! Everyone is free to express their views and opinion. Honestly take a break guys. You don't have to start a word war over trivial stuff or something that doesn't directly impact your lives. Still seeing people fighting and getting pissed over each other's view on #ItsMoreFunInThePhilippines slogan. Can u guys take it a easy? As seen on my TWITTER ACCOUNT (Follow me there ;-) ). We don't have to force our belief or views of something to someone who doesn't share the same views us we do. Sure there are people who will view it differently than yours and in a way that is healthy. That is what makes the Philippines more fun, democracy and the freedom of speech (freedom to express). Sure there will be views that could annoy you and go against your every perspective, but try to relax and let it pass. At the end of the day what truly matters is that the Department of Tourism made a new slogan that was received well by the community, and was not negatively received in general. Again, two different opinion can coexist on a democratic country and the online Filipino cyberspace. The same as how Like Christians, Muslims, Hindus, Atheists, Agnostics, etc can coexist in this country. Sure there will be conflict but if we just let each other at their business then there wouldn't be any problem. Christopher "Chris A." Aquino is a Filipino blogger based in Cavite who manages a series of blogs where he pours his time, dedication and heart out in bringing relevant, entertaining, informative, worthwhile, and sometimes hilarious content for fortunate netizens stumbling upon his blog. CMABLOGS is a personal slash mixed bag blog by Chris A. CMABLOG started out as Life on a Pencil back in July 03, 2008 as the second blog after CMAQUEST and the new home of the author's personal space on the worldwide web. The blog eventually evolved into the mixed bag blog providing regular content by Christopher Aquino.